OUTLINE The CFA recognises the fundamental importance of scientific research in the development of our understanding of the growth of forests and their value to society and our planet. Since 1921 the CFA has published leading scientific papers on forest research, and has more recently established initiatives designed to encourage publication of research articles by young researchers (the Young Scientist Publication Award) and distribute our journal, the International Forestry Review, free of charge to developing countries via the Programme for the Enhancement of Research Information (PERI). Objective of scheme To provide financial support to students undertaking forest-related research in pursuit of an academic qualification. Age Up to 35 years of age. Nationality Open to all nationalities. Amount of money available Up to £500. Number of awards and their frequency Two per year. Terms and conditions for use of money Funds provided to the academic institution. Report provided to CFA of work carried out. Restrictions Open to CFA individual members of at least six-months' standing. HOW TO APPLY If you are interested in applying for the Young Scientist Research Award in 2019 please download and complete the Application Form. Shimona Quazi - Bangladesh My PhD research was supported by the CFA Young Scientist Research Award and looked at the biodiversity value of three types of forests in Bangladesh. There is more recognition in the conservation literature that managed lands beyond parks should also be considered for conservation, as well as understanding the need to involve local residents and traditional resource users into conservation planning. Managed forests are drawing increasing attention as means of balancing human use with conservation needs. Two major types of managed forest of interest are mature timber plantations and complex agroforestry systems. So I decided to study traditional agroforestry systems and compare them to mature timber plantations for their conservation value, using mature secondary forests of similar age as the baseline. The sites I worked in were all plantation forests under the British Empire, but prior to that the precise details are unknown. 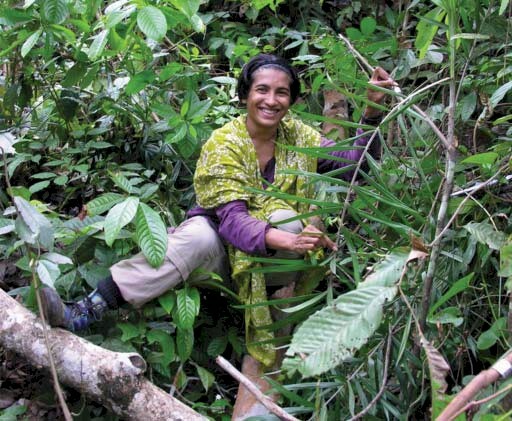 I worked in three protected areas and reserve forests in Bangladesh from 2006 until 2012 in an effort to understand the role for traditional agroforestry in conservation. The sites where I worked were small, fragmented and under heavy human use. They are still very rich in species, so it’s very important to understand how to balance conservation goals with human needs. The agroforestry system I studied is called bri, or betel agroforestry, and it is carried out throughout forests in the northeastern hill region of Sylhet, Bangladesh. It is raised mostly by an ethnic group called the Khasia people who have live in and around these forests for generations. The timber plantations I studied were mostly monocultures of teak, raised by the state Forest Department (FD). Both these forest types are widespread in all the forest patches, interspersed irregularly with secondary forest. I studied secondary forest because it is the main type of unmanaged forest in this area, and there is very little primary forest in Bangladesh. I was also interested in studying secondary forests because as deforestation continues worldwide, they are an increasingly important forest type at a global level as well. Because of pruning and weeding, bri is often blamed for biodiversity loss in the forests by state authorities and conservationists. But this has never been tested, and the issue has long been a source of contention between the Khasia communities and the FD. Because agroforestry is the only source of income for most Khasia, attempts to eradicate or relocate the practice outside the reserves have been unsuccessful and sometimes violent. The question of whether or not bri can support forest species is therefore critically important both to the communities and for conservation. My results suggested that although it cannot replace the conservation functions of mature secondary forests, the traditional Khasia bri system has strong potential as a conservation tool if used appropriately. It has high levels of woody species richness and diversity in the canopy, largely in similar guilds to secondary forest, and for bird species it has lower richness and diversity, but can still act as alternate habitat for forest specialist birds. Bri lands within the PAs act as important habitat for native species, and I found no support for existing Khasia agroforests in forest reserves to be relocated elsewhere. However they should also not expand into the remaining secondary forest, as secondary forests are the source habitat for birds. Both secondary forest and agroforestry are therefore important components of the conservation landscape, and Khasia betel agroforestry could work as part of mixedspecies afforestation schemes for degraded lands beyond PA boundaries. 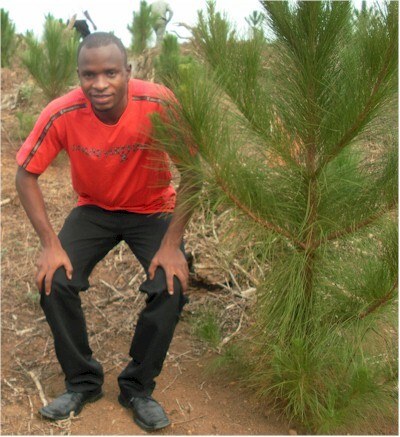 Ofoegbu Chidiebere - South Africa The discussion on climate change is leading to a re-interpretation of tree plantations in South Africa; prompting the adoption of forest bioenergy system as one of the cost effective ‘carbon mitigation options’. In an analysis of this changing paradigm special emphasis was put on socio-economic aspects of tree plantations focusing on integrated pulpwood and forest bioenergy systems with special attention on harvest residues recovery for bioelectricity production and construction and operation of bioelectricity plant. My study, which was supported by the CFA Young Forester Scientist Research Award, assesses the socio-economic concerns of integrated pulpwood and forest bioenergy systems with special attention on harvest residues recovery for bioelectricity production and construction and operation of a bioelectricity plant. Structured questionnaires and in-depth interviews were used to estimate the values of direct and indirect benefits that adjacent rural communities derive from Mondi Plantations in the Piet Retief areas of South Africa. Twelve villages were randomly selected from 56 villages on Mondi Plantations in Piet Retief and Iswepe areas (six villages from each area) for sampling; a systematic random sampling of ten households per village was carried out within the selected villages. The study revealed that adjacent rural communities on Mondi plantations in Piet Retief and Iswepe areas enjoy direct benefits such as employment opportunities, free collection and utilization of harvest residues, utilization of non-timber resources, and free accommodation. Indirect benefits that these communities enjoy include: free farmland and graze-land and various social benefits such as borehole water, cemetery etc arising from the company’s corporate social responsibility programme. The possibility of using harvest residues for bioelectricity production was also examined in the case of final clear felling in Mondi forest plantations at Piet Retief. The study developed and described a scenario of a 5MW bioelectricity generation facility, requiring an annual volume of 11,708.46 dry tons of residues as feedstock for its operation. The feedstock source is available from annual harvestable hectares of plantations from Mondi forest in Piet Retief and Iswepe areas. Using NPV and IRR analytical tool, the study estimated the economic impacts of integrated pulpwood and bioelectricity production, compared to conventional pulpwood production operation. The result showed that integrated pulpwood and harvest residue recovery for bioelectricity production is a profitable means of producing renewable energy. The approach was found to increase the profitability of conventional forest operations.